There are a number of different types of documents used in business operations. Every document has its own importance and requirement in a specific department of function. They not only support various activities but are also used for record keeping and future references. 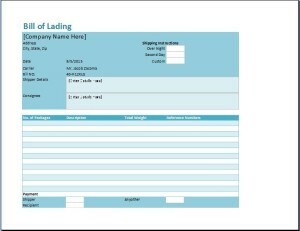 One such widely used a document in trading is called the bill of lading. The bill of lading is a legal document that is drafted between the shipping party of a product and the transportation party. It contains important details and information about the product and goods that are being shipped. Some essential details may include the type of product, quantity of goods, date of shipment, delivery date and destination of the delivery. 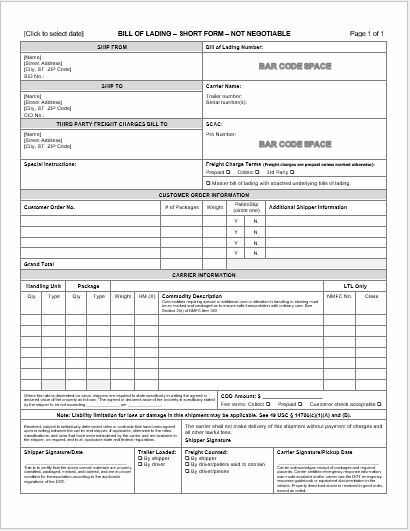 This bill of lading is used as a bill of sales or receipt for the shipment when the products have been delivered to the specific destination. Like all other legal documents, the bill of lading also has a specified format or pattern. You can download this sample template from the internet and use it for your own shipping activities. The bill of lading template will require the user to add the necessary information into the template and use it effectively to meet the purpose. Once in use, it is important that the document must be duly signed by the shipper, carrier, and the recipient. Without this, the legal binding of the three parties will not be effective. So you need to keep into account all the terms and conditions.